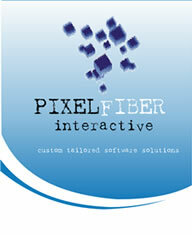 Pixelfiber interactive is a multidisciplinary software studio. Our clients become partners in the process of developing a solution that communicates their will, unique spirit and vision. Pixelfiber offers a range of software and cross-media services. We have experience working with clients of all sizes, who do business in many sectors. we put passion and precision into all of our projects, from initial concepts, to final production. our goal is to execeed our client's expectations in term of creativity, turnaround time and value. Our approach to developing projects is to consider the impression that the finished product will have on the user, adn the lingering effects of that impression. Our strenght and value to our clients, is thet we see every project as part of a bigger and strategic framework. Consistency and continuity of software is fundamental. JANUARY 20, 2006 (IDG NEWS SERVICE) - Microsoft Corp. has released a Java Database Connectivity (JDBC) driver for SQL Server 2005, providing a way for developers to link their Java applications to Microsoft's latest database software.